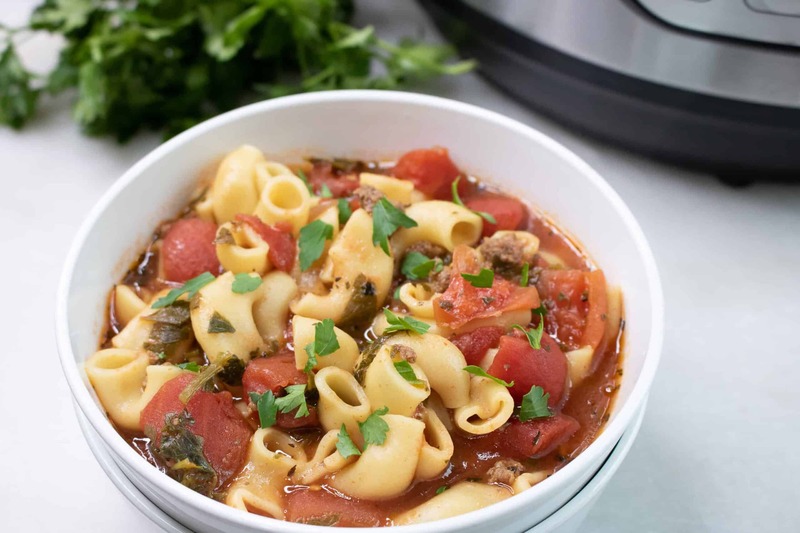 This Poor Man’s Beefy Tomato Macaroni Instant Pot Soup recipe is a tasty, hearty and satisfying meal that you and your family will absolutely love! 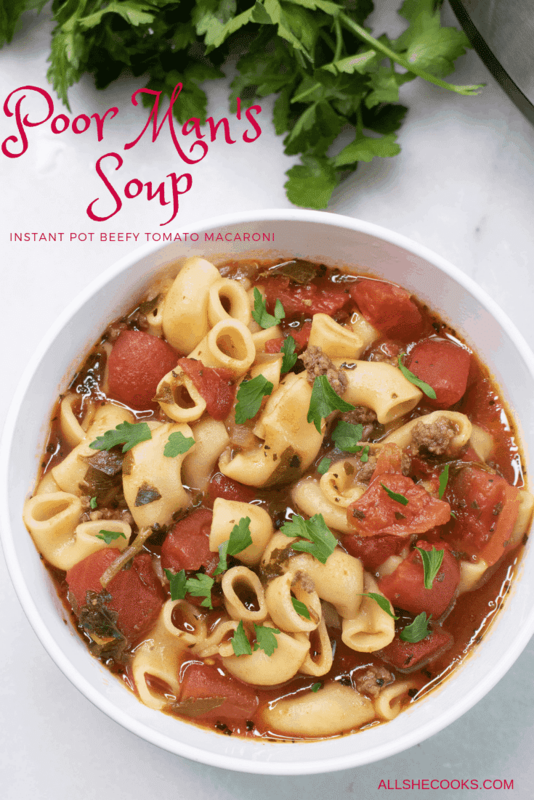 Instant Pot Poor Man’s Beefy Tomato Macaroni Soup is everything my family and I love about soup. 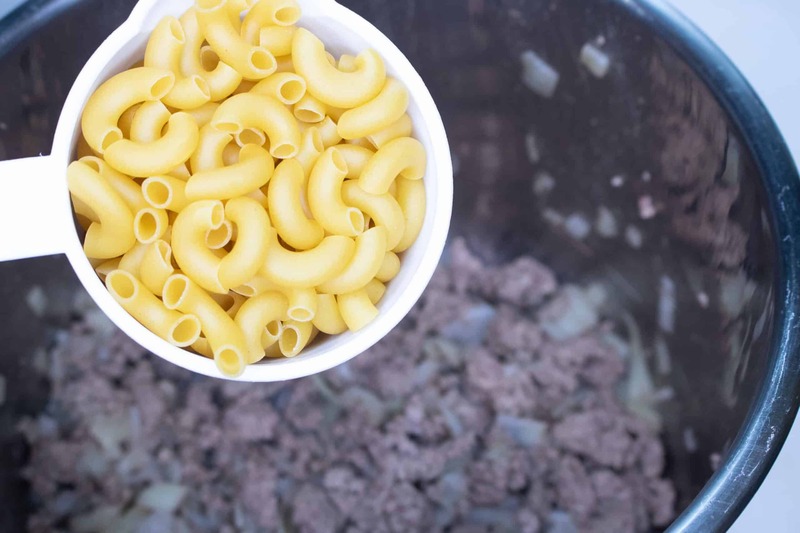 They love that is is chock full of hearty ground beef and macaroni. I love that how easy and inexpensive it is to make. And we all love that it is so delicious and full of flavor. 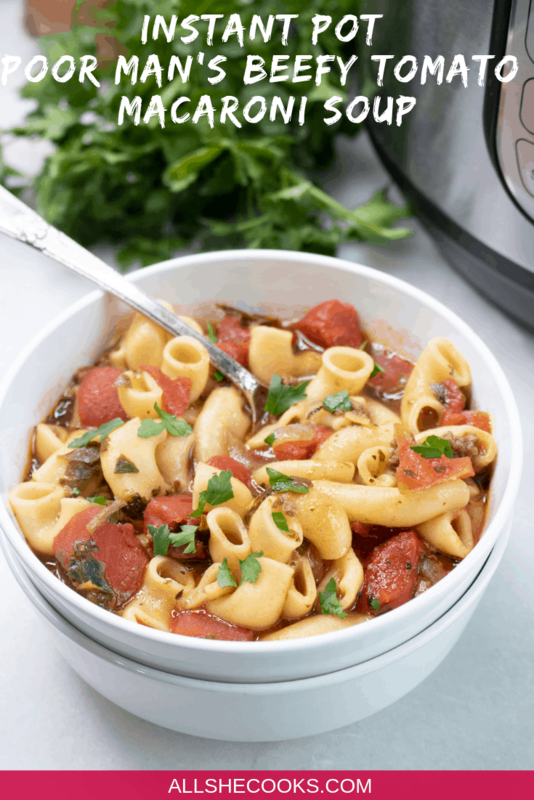 This Instant Pot soup is a budget friendly, one bowl meal. Made with just a handful of simple everyday ingredients, this is a thrifty recipe that is easy on your wallet. While it is a hearty and complete meal in itself, you can stretch your soup (and your dollars) even further by adding in some inexpensive, healthy frozen vegetables. I’ve tossed in frozen green beans, peas, and even corn. Perfect for when you need to feed a crowd, or for making sure you have plenty of leftovers for tomorrow’s lunch. It is SO quick and easy to make. The soup comes together in just a few minutes. It doesn’t take an effort at all to quickly brown the meat and then you simply can walk away while it cooks. Because thanks to the Instant Pot, it really is a set-it-and-forget it recipe! And since it freezes well, why not whip up an extra batch to stick it in the freezer? It feels so great knowing you’ve got a meal ready to go “just in case”. 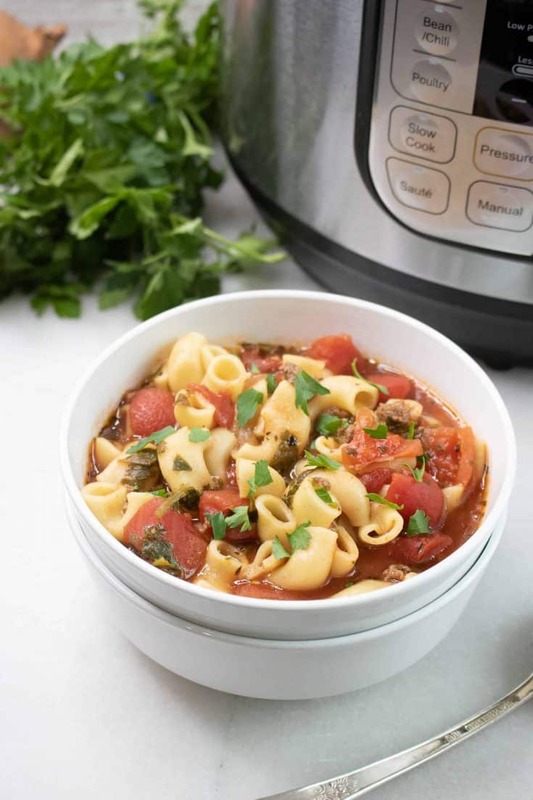 You can make this Instant Pot soup your own. 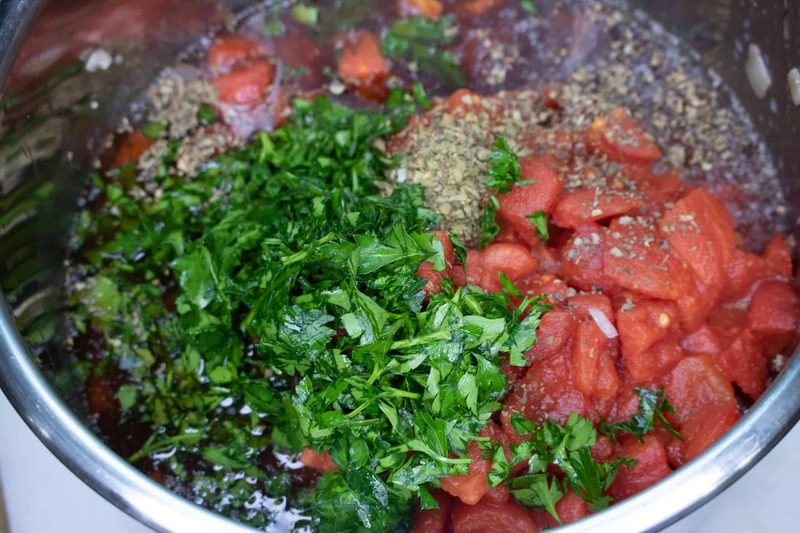 The beauty of a basic recipe like Poor Man’s Soup is that it is easily customizable. Feel free to swap out the ground beef for turkey. Shredded chicken also works well. Don’t have macaroni on hand? Use Penne, Rigatoni or your preferred style of pasta. You can even make this soup with leftover rice. And for those who like to spice things up, toss in some red chili flakes, a dash of your favorite hot sauce, or even a handful of diced peppers if you really like to bring the heat. 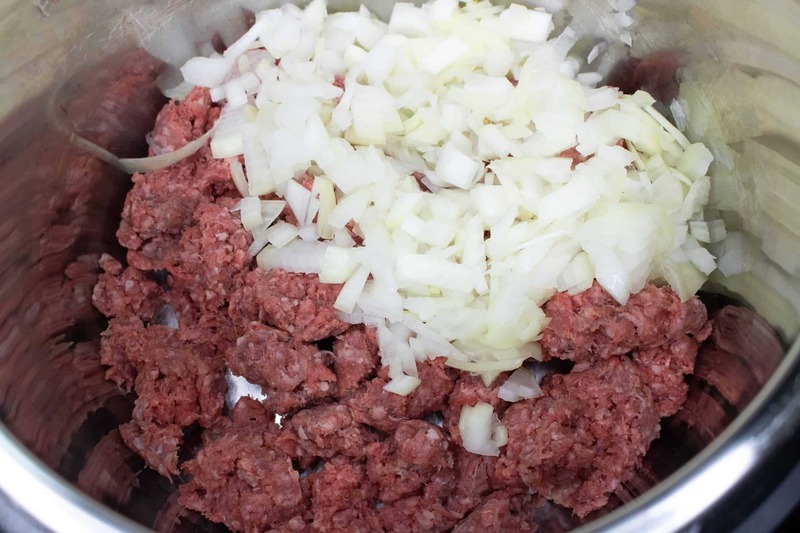 Place ground beef and onion in the Instant Pot and sauté until beef has completely cooked. Drain excess grease from beef and onions and then return the beef and onions to the Instant Pot. Close lid on Instant Pot and turn pressure valve to sealing. Set for a manual high time of 4 minutes, and perform a quick pressure release at the end of the cooking time. Dish into bowls, serve and enjoy! 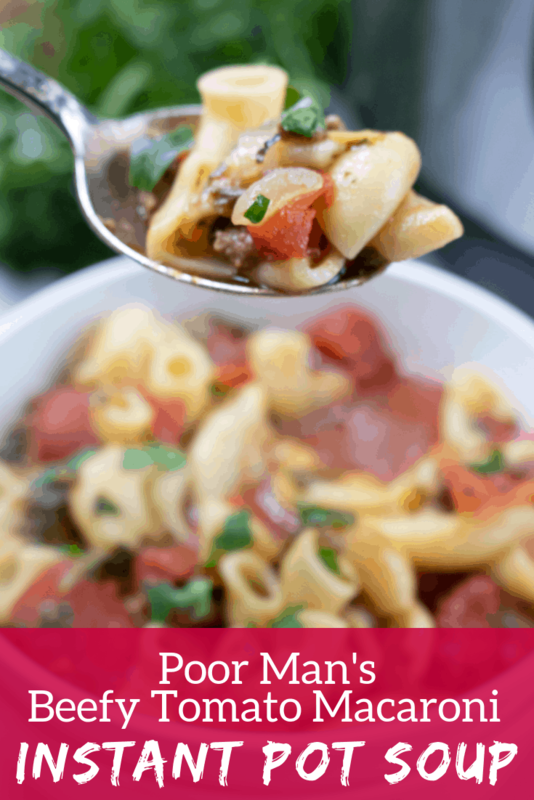 Even though this Poor Man’s Beefy Tomato Macaroni Instant Pot Soup can be served as a stand-alone meal, I think it is that much better when paired with some tasty bread. Try serving it alongside this fragrant Copycat Macaroni Grill Rosemary Bread, or with a handful of these addictive Copycat Restaurant Breadsticks. 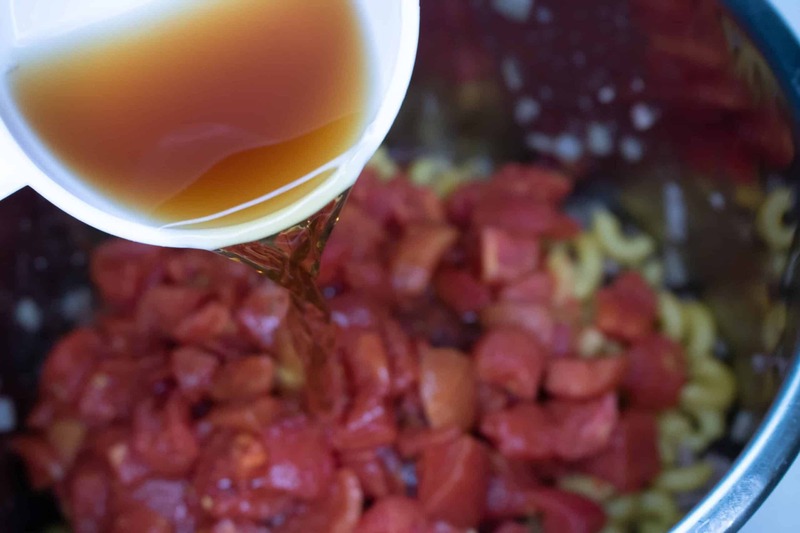 And if you’re in the mood for the classic soup and salad combination, I suggest serving with this crisp and delicious Italian Salad with Homemade Italian Dressing. In Instant Pot, saute ground beef and onion until beef has completely cooked. 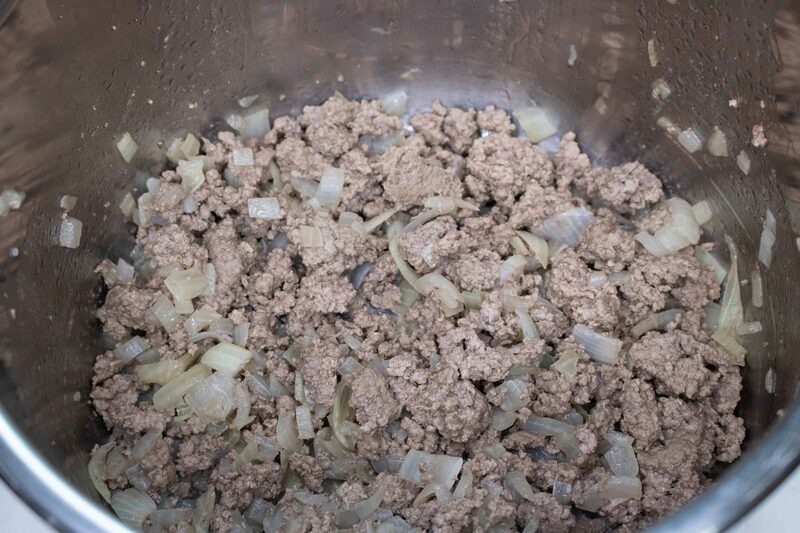 Drain excess grease from beef and onions and then return the beef and onions to the pot. This is SO good and such an easy recipe to make.